Have you ever wondered why some books and stories are adapted into movies, and others aren't? Or wished you could sit down and pick the brains of the people whose stories have been adapted--or the screenwriters, producers, and directors who adapted them? 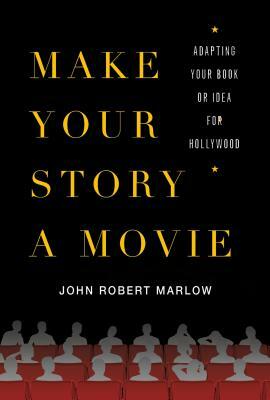 Author John Robert Marlow has done it for you. He spoke to book authors, playwrights, comic book creators and publishers, as well as Hollywood screenwriters, producers and directors responsible for adapting fictional and true stories into Emmy-winning TV shows, Oscar-winning films, billion-dollar megahits and smaller independents. Then he talked to the entertainment attorneys who made the deals. He came away with a unique understanding of adaptations--an understanding he shares in this book: which stories make good source material (and why); what Hollywood wants (and doesn't); what you can (and can't) get in a movie deal; how to write and pitch your story to maximize the chances of a Hollywood adaptation--and how much (and when) you can expect to be paid. *This book contains the distilled experience of creators, storytellers and others whose works have earned over $50 billion worldwide. Whether you're looking to sell film rights, adapt your own story (alone or with help), or option and adapt someone else's property--this book is for you. JOHN ROBERT MARLOW is an award-winning novelist, screenwriter, and adaptation consultant whose nonfiction articles have appeared in the Screenwriter's and Playwright's Market and the Novel and Short Story Writer's Market (both published by Writer's Digest Books), The Writer, Writers' Journal, Backspace, Women On Writing, Writer's World, Fellow Script, Parade, and numerous other print and online publications. He recently closed his first Hollywood script deal--an adaptation he wrote and will executive produce, with an estimated budget of $60 million. He lives in Los Angeles, California.